Kluber Architects + Engineers were tasked with implementing a comprehensive and multi-year master plan for building expansion, renovation and life safety improvements to Oswego High School. The addition and renovation were completed in four phases, each with their own unique project scope. The first phase included building system upgrades to accommodate the future addition and renovation. The second phase consisted of an addition with science labs, general purpose classrooms, offices, multipurpose rooms, as well as a horticultural lab room and greenhouse. 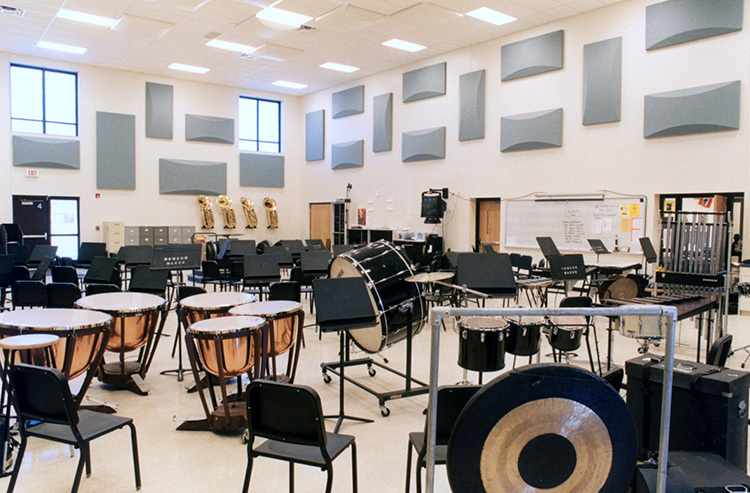 Enlargements to the pre-existing music wing were completed as part of the third phase. Locker rooms and offices were also remodeled to accommodate a projected increase in the student population. A new east entrance was also added along with a 15,000-square-foot fitness center. The final phase of the project included remodeling of the learning resource center, as well as the addition of a television broadcast studio. Family consumer science classrooms were converted into a commercial restaurant food lab, while a graphic arts classroom addition provided state-of-the-art facilities for computer-aided graphic design, photography and traditional arts.